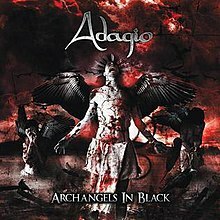 Adagio is a French neo-classical progressive metal band, their music is dark, complex and played on a very high level of skill. The ruling spirit is Stéphan Forté the guitarist and composer who hired musicians back in 1999 to record the first album Sanctus Ignis. 2003 a stable band line-up had found itself and they toured for the first time.